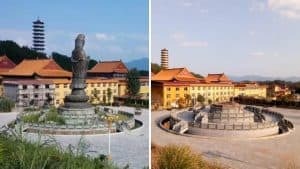 Several Buddhist temples have been torn down in Hubei Province. These temples had believers living inside, who have nowhere to go now. 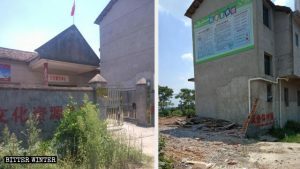 In July, local authorities demolished the Qiansheng Temple in Hubei’s Xianning city. 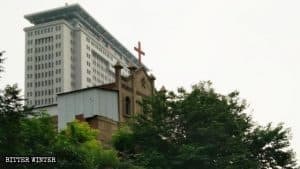 While many believers lost their place of worship, Wu Huanzhen, the temple’s 84-year-old caretaker, lost her home. She had spent all of her life’s savings for building the temple and had been living there for years. Today, she still lives in the temple, but in secret. She cannot even dry her laundry lest the authorities discover her. 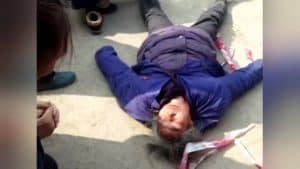 Meanwhile, in Jingzhou city, 67-year-old Wu Qiaoyu is going through something similar herself. 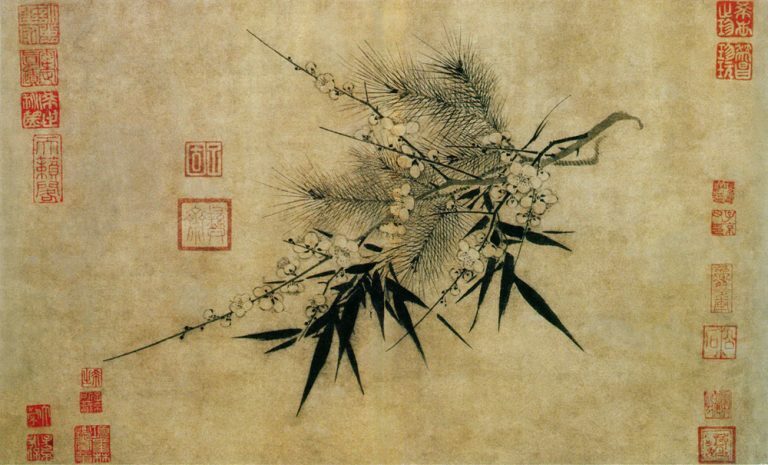 Ms. Wu left her home at the age of 36 to become a Buddhist nun and made the Shanxian temple her home. 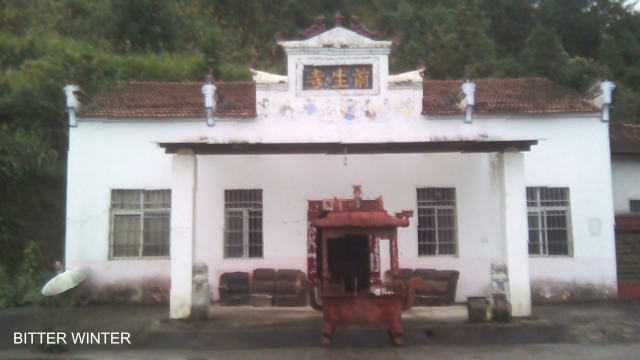 She has since spent over 200,000 RMB (or nearly 30,000 USD) in renovating the temple. 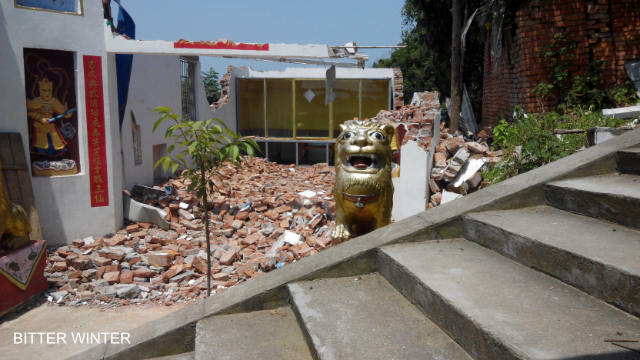 Two hours later, the temple had been razed to the ground. 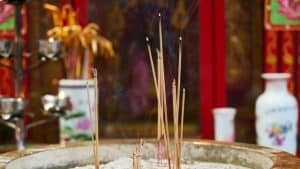 When the officials saw Ms. Wu worshipping at a Buddha statue in an abandoned room, she was stopped again, and the keys to the room were confiscated. 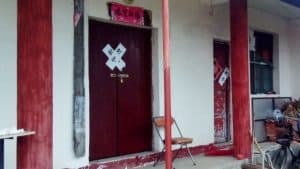 A month prior to this, the Qiyin temple in Huangshi city too had been sealed off. 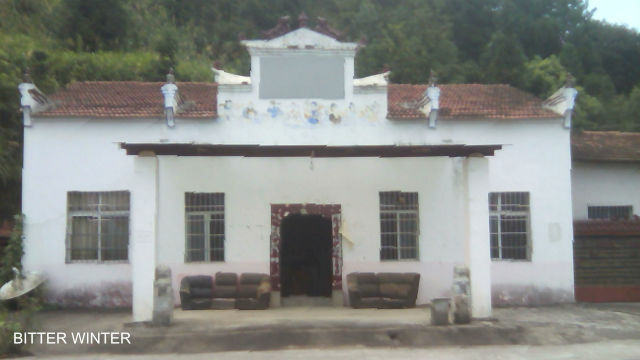 For 14 years, it was the home for its 57-year-old abbot, He Guihua. But she also was made homeless by the authorities in their zeal for religious persecution. The name “Qiansheng Temple” has been obscured. 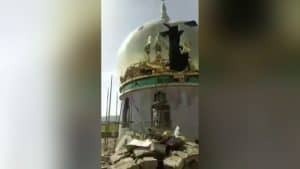 Shanxian Temple has been forcibly demolished.